Today, another dip into the 60s. 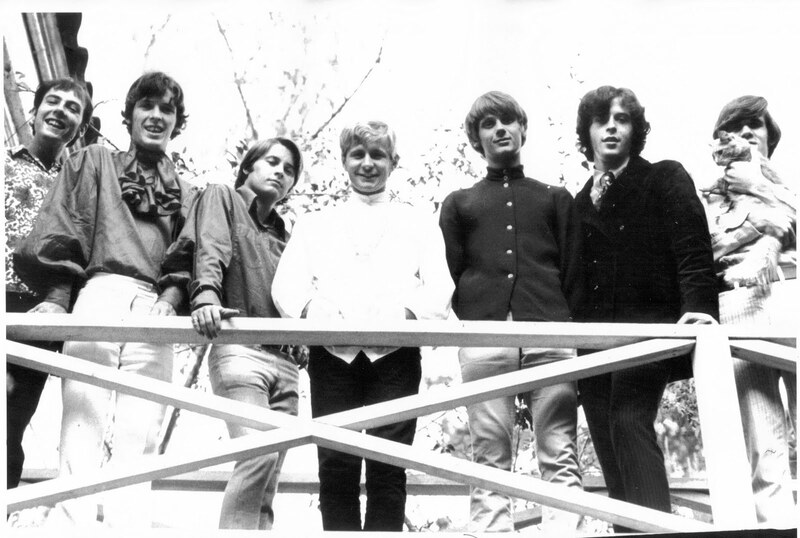 The Millennium was a sunny, genre-jumbling act cultivated in the ecosystem of California psychedelic pop, folk, rock by Curt Boettcher, a visionary talent who never quite made it, though he certainly tried. He started off in a saccharine-sweet group called the Goldebriars, which, toward the end of its short existence, picked up Ron Edgar, later of the crusty, riffy Music Machine, on drums. After the Goldebriars, he got into producing and songwriting for others and was a critical force behind the Association's oddball and fringey yet clean-cut and dapper And Then... Along Comes the Association. He continued to orchestrate, arrange, actualize for others, like Tommy Roe and Lee Mallory, and it was his work with the latter that led him to meet Brian Wilson, upon whom he apparently had a significant influence. He then conceived a studio project, Sagittarius, and, with the minor success of their "My World Fell Down," which Glen Campbell sang on, was able to start yet another undertaking, a supergroup of sorts, the Millennium, ostensibly the motivating force behind this post. Their one and only album, Begin, which was released in '68, is said to have been Columbia's most expensive record at that time. (A pithy assertion to make, but labels functioned in a fundamentally different way back then, and Boettcher's career is constant reminder of this.) As a result of poor sales, the band split. I'm jumping around like a madman and not doing Boettcher's story much justice, but he's a fascinating and singular figure one can easily get lost in. He collaborated with absolutely everyone; he made a great solo long-player, '73's There's an Innocent Face; he became a disco DJ and made an extended mix of the Beach Boys' dance cut misfire, "Here Comes the Night," from L.A.—and that's truly just the tip of the iceberg.